An illness has healed when it has vanished without significant trace or consequence. It is cured when medical (or other) intervention has had the same effect. Renal replacement therapy for end-stage renal failure cannot be described in these terms. Despite their remarkable ability to extend life and well-being, dialysis and transplantation remain flawed techniques. Nevertheless, progressive improvements in both allow us to hope that they might in future lead to a “quasi-cure” for end-stage renal failure. This may be defined as a situation in which the life and health of the sufferer has been restored as completely as if a cure had truly been effected. The closest possible approximation to such a “quasi-cure” should be the goal of all contemporary management of renal failure. 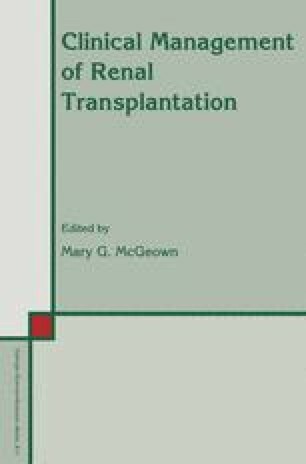 It follows that dialysis and transplantation should be applied in any individual case, not as competing ends in themselves but as a means of achieving the above objective.